When I was around 10 years old or so I remember my mother and grandmother teaching me how to knit. The results were pretty sad and it really didn't stick. Since then I've enjoyed crafts including cross stitch, sewing, and scrap booking, but not really focused a lot of my time or effort on one particular craft or large project. When I moved out of home I was lucky enough to have a friend offer me a job at Spotlight. During my first few weeks I spent a lot of time moving, reorganising and tidying yarn. I came across Annie Obaachan's book, Crochet Animals, in the yarn section and I found I loved the idea of creating soft toys from yarn. 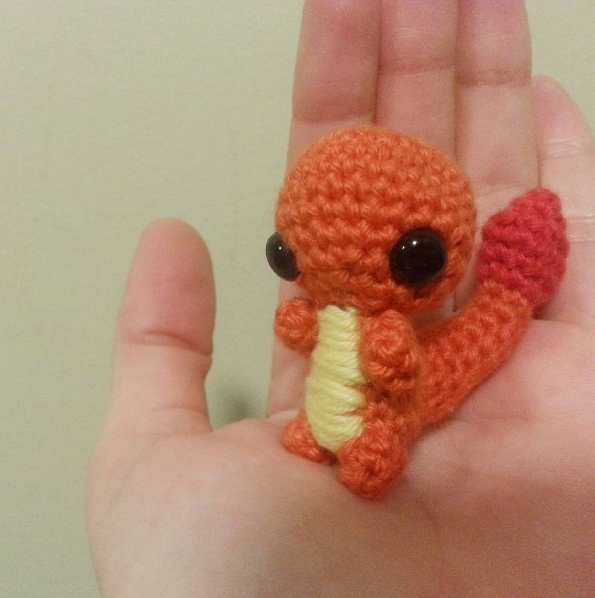 I had never really been very aware of crochet, but here were gorgeous little crocheted creatures. So I bought the book, a hook and a ball of yarn. My mum helped me to get started, as I just could not figure out the magic circle the book explained. I quite quickly produced my first little bear and fell in love. Any crocheters may be able to tell he is a little bit funny looking as I started off crocheting in just one loop instead of two. But he's still friendly and I was very happy with him. You can see he does look quite different to the pictures in the book. My first crochet book and first amigurumi. As you can see this pattern book has written instructions as well as diagrams. I am generally a fan of crochet charts, although I'm still unsure how functional it is for amigurumi. My second amigurumi, a pattern from the same book. When I picked up this book today to take photos, I noticed the beautiful gallery in the back of the book. There are many lovely amigurumi that captured my imagination and each of them has a little note about the designer and many have websites attached. 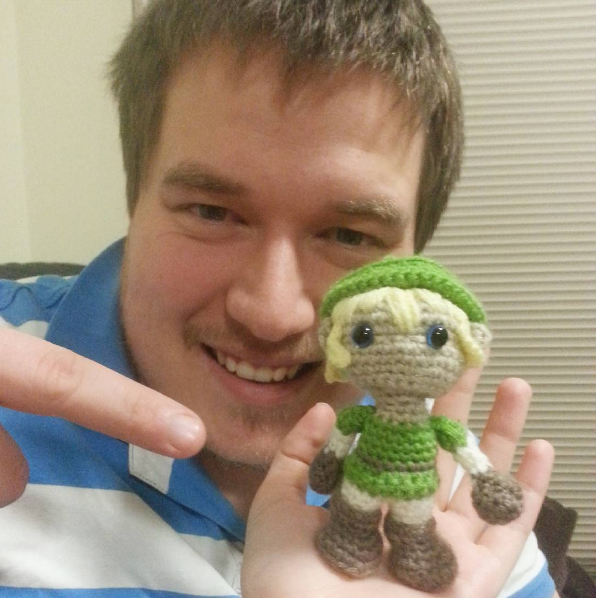 As far as I can remember this is what lead me to my online amigurumi search. I soon discovered all sorts of resources online with various crochet patterns. The most useful to get me started is now one of my favourite bloggers, Stephanie of AllAboutAmi. 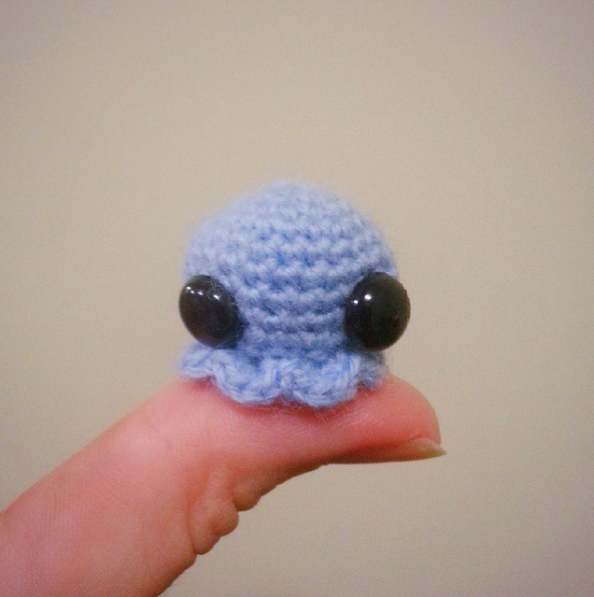 She has some useful tutorials including amigurumi for beginners, which side is the right side of amigurumi, the magic circle and the invisible decrease. The next thing I made was Stephanie's Spring Bunny. As you can see I made a lot of progress after reading Stephanie's tutorials and patterns. This was a Mothers' Day present for my mum. My mum bought me a bunch of crochet books for my birthday and I created this lovely jellyfish. The pattern is from Ana Paula Rimoli's book Amigurumi Toy Box which has many super cute patterns and I'm a big fan of her style. I also crocheted a couple of beanies that I don't have great photos of and the elephant that Stephanie translated the pattern for. 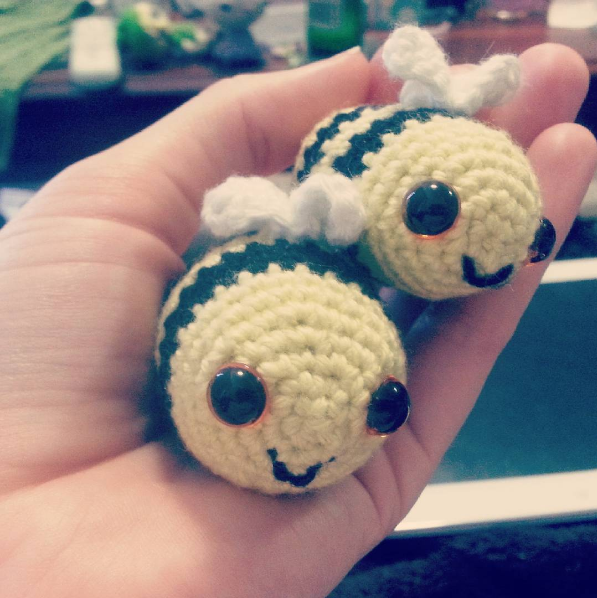 I took a break from crochet while I finished uni, and planned and prepared for my wedding. Once I had settled into marriage and work a little I started crocheting again and even started making up some of my own designs (images in slideshow below). I made up the bees and the Charmander patterns on my own; the little jellyfish, Link and Totoro are from patterns I found online. 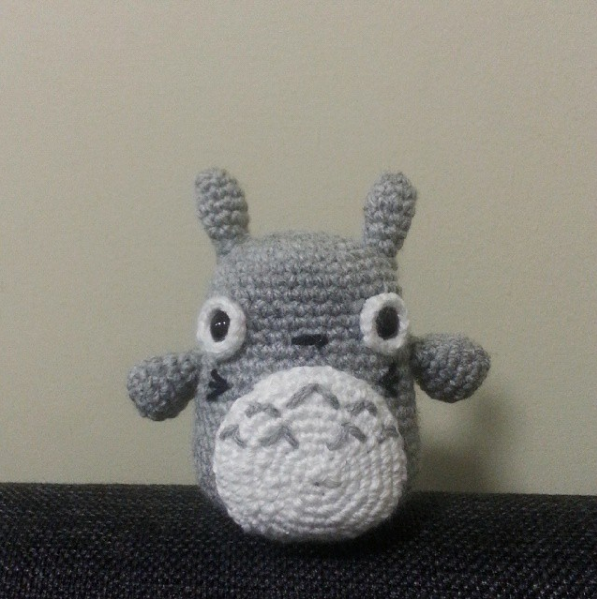 Some friends from work encouraged me to create an Instragram account just for my crochet. I spent a few days coming up with a name and took a bunch of photos of the amigurumi I still had in my possession. I'm so glad I did as I love the crochet and craft community on Instagram as I'm constantly inspired with new ideas of projects to work on and it gives me motivation to crochet more and share my work with others.